* Allison Brown placed here name for First Vice President. She is the first HFFA member to step forward and formerly join the Executive Board Team. Thanks, Allison! We have a Nominating Committee and we will be available to talk to any HFFA member that wants to be considered for ANY of the positions listed above and that includes the positions that are filled. We are also looking to have a Membership Liason committee. That job consists of three members that will act for the membership at large. Our Nominating Committee: Fred Monahan, tel: 203-213-9419; Sam D’Ambruoso. tel: 203-417-7120; and Paul Dinice, tel: 203-305-3850. Call us and let us know you’re interested in becoming an HFFA officer and executive Board member. We will be talking about the slate of officers and committee chairs at the May meeting. PLEASE BE THERE! Remember: all positions are open. 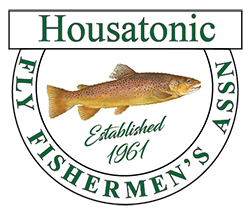 Final Board of Directors will be in place after votes are cast at the Annual Association Meeting, Saturday, June 2, 2018; 12 noon at the HFFA Camp ground.